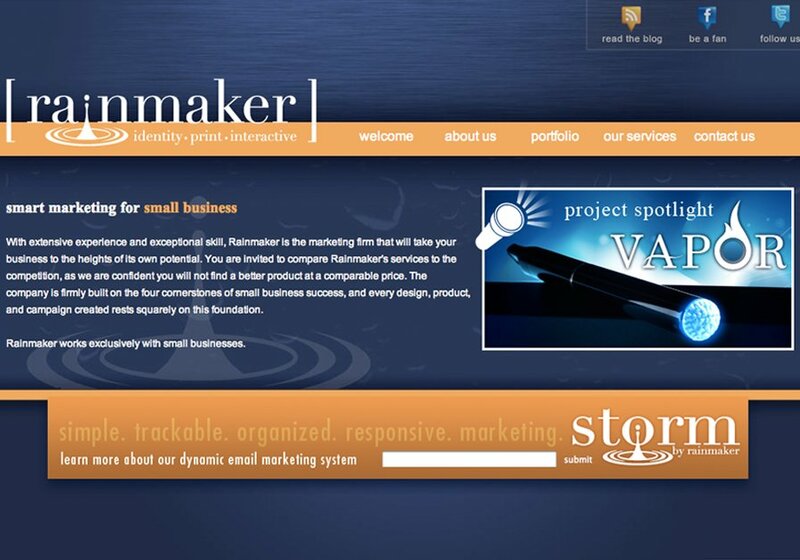 Rainmaker works exclusively with Small Businesses. We are an award winning design company and are considered experts in Visual Communication. We'd love to be your marketing company! This is a recent redesign of our own website.